If you are interested in playing co-ed flag football with other SEC Alumni in the city, email UANYC member Heath Terry with your name and cell number. No experience necessary, but if you have played organized sports (intramurals, high school, etc) please mention it. The season starts the week of March 14. 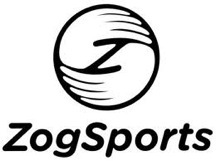 All the details on the league are at the ZogSports website. The cost of the season is $85 and includes eight games, playoffs, and a t-shirt. Games are played at fields in Manhattan and on Roosevelt and Randall's Islands on Saturdays and Sundays.